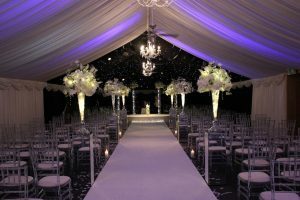 Those of you who know the area will know that Cheshire lays claim to many of the U.K’s most spectacular wedding venues. 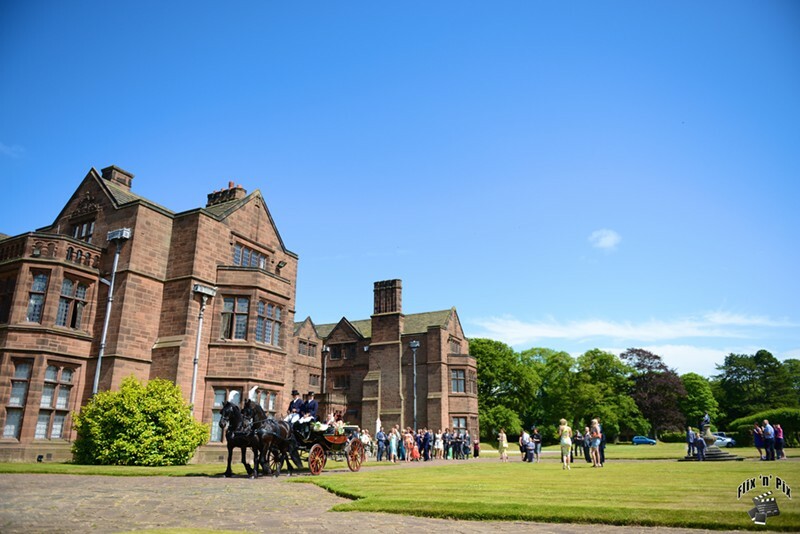 Historic castles, grand manors and rustic barns, Cheshire is home to a vast array of wedding venues, all of which occupy their own piece of natural paradise. Many venues boast of beautiful estates with features such as patios, gardens and lakes and are set up to provide the perfect backdrop to a wedding. In suitable style, most are equipped to make sure the unpredictable north-west weather doesn’t wreak havoc, with gorgeous facilities for both indoor and outdoor ceremonies. The following is by no means an exhaustive list of all the wedding venues in Cheshire. It is rather what I would view as a guide to some of the finest venues that I have been privileged to perform at. They are all fantastic wedding venues, each one offering something different and so please take your time to discover which one might suit you best. To jump to a particular venue simply click on a name below. Adlington Hall is a beautiful country house set in exquisite gardens and surrounded by the spectacular 2000-acre Adlington Estate. An exclusive wedding venue that prides itself on the service provided, with dedicated and experienced teams working hard to make sure the weddings match the dreams. Their Great Hall and Hunting Lodge are magnificent places for ceremonies and receptions. 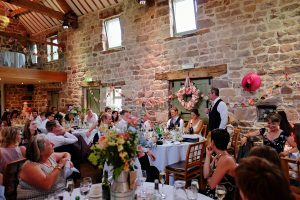 At the foothills of the Peak District National Park and at the end of a mile-long private driveway bordered by trees sits The Ashes Barns Wedding Venue. This multi-award winning venue is a wedding photographer’s dream. It is home to a Grade I listed manor house as well as a lake, lawns, stone courtyard and a flagstone platform overlooking a pond. If a rustic barn wedding is what you’re looking for, The Ashes Barns Wedding Venue has it all. 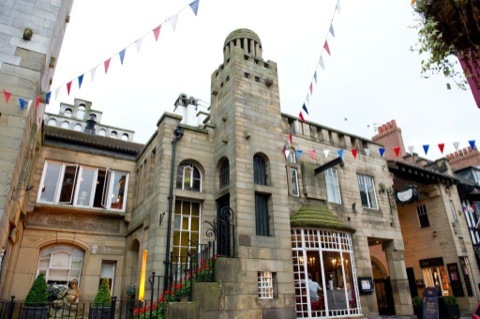 The Belle Epoque is a fantastic art nouveau venue in the heart of historic Knutsford. Opulent and stylish, everything they provide is customisable allowing guests to have exactly what they want. Beautiful dining rooms, a Mediterranean roof garden and a romantic ceremony room (with the option to have in candle light), make this gorgeous venue one of Cheshire’s hidden treasures. 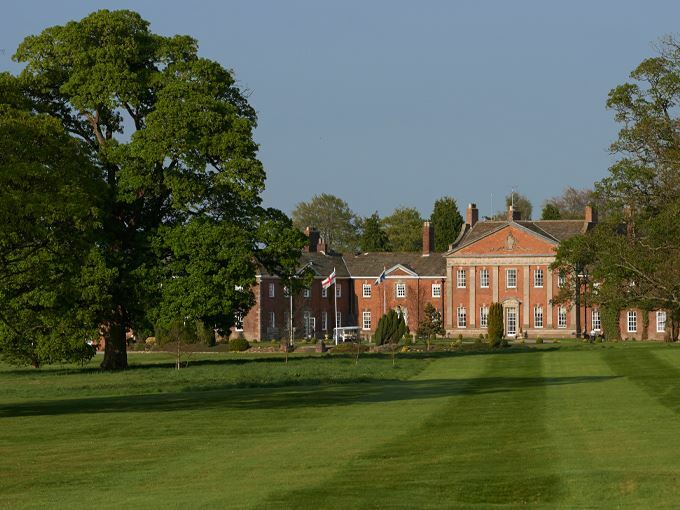 At Capesthorne Hall you get a magnificent, 18th century historic venue set within its own 100-acre estate containing parkland, lakes, award-winning gardens and a whole host of wildlife that call it home. A typical example of Jacobean architecture, it is a wonderfully romantic setting, and one that is capable of making any wedding a day to remember. Run by the lovely Irlam family, Colshaw Hall resides within an idyllic 300-acre estate. Nestled in the picturesque Cheshire countryside at the end of a gorgeous driveway, it boasts of gardens, suites, cottages and the stunning Stables ceremony room. 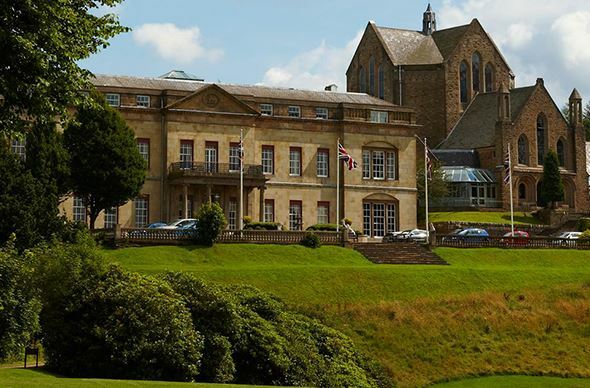 Colshaw Hall offers exclusivity and intimacy unlike most other wedding venues and with their fabulous team of staff and bespoke wedding suppliers they are the perfect team for a fairy-tale countryside wedding. 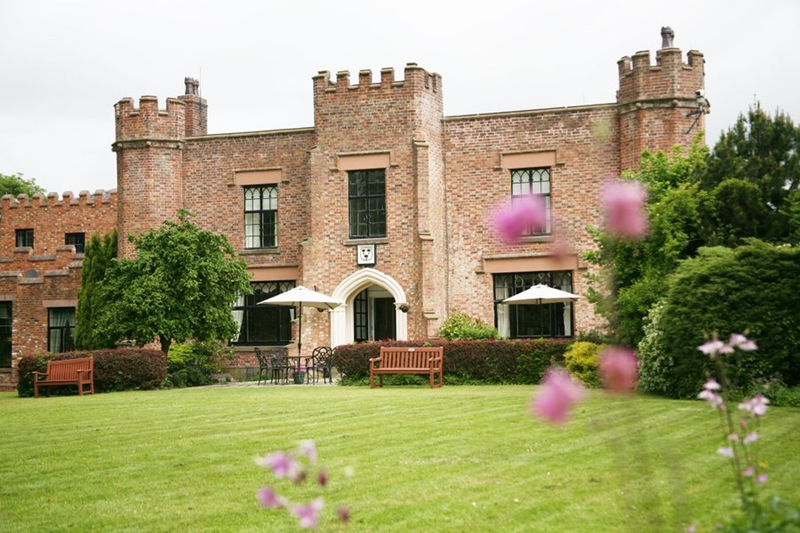 Crabwall Manor is a charming hotel and spa venue in the lovely Roman town of Chester. Dating back to the 11th century this luxurious and intimate setting never fails to produce fantastic photos. With a superb team of staff on board and a reputation for fine food and wine, you are certain to have a fabulous experience from start to finish, making your special day truly memorable. 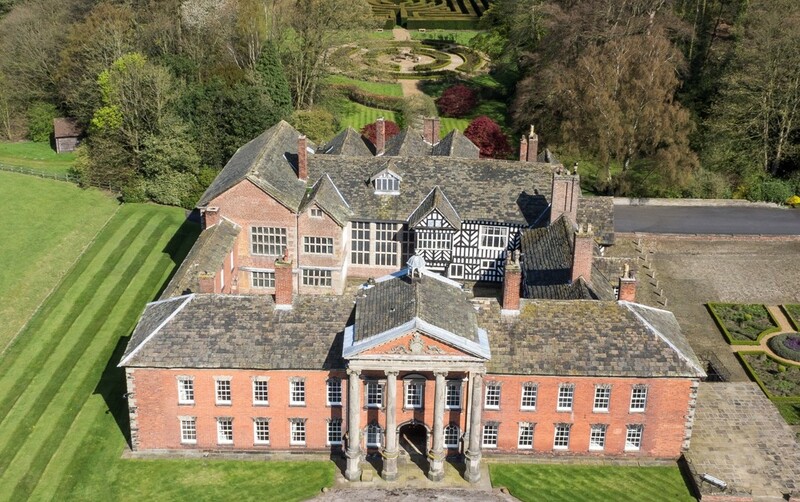 The beautiful Cranage Hall is hidden away in the Cheshire countryside amidst 20 acres of landscaped gardens. They have ample experience in hosting weddings in their Grade II listed hall, and are more than capable of accommodating big events, with 151 en-suite bedrooms and dining suites that can cater for up to 300. One of the most sought after wedding venues in the area, Cranage Hall offers a superb backdrop for a magical wedding shot. 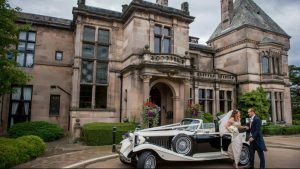 Set in acres of Cheshire countryside along a breathtaking half mile, tree lined driveway, the grade I listed Crewe Hall offers something for everyone, from small intimate gatherings to larger scale weddings. This stately mansion is no stranger to highly esteemed guests, having played host to royalty throughout its years. 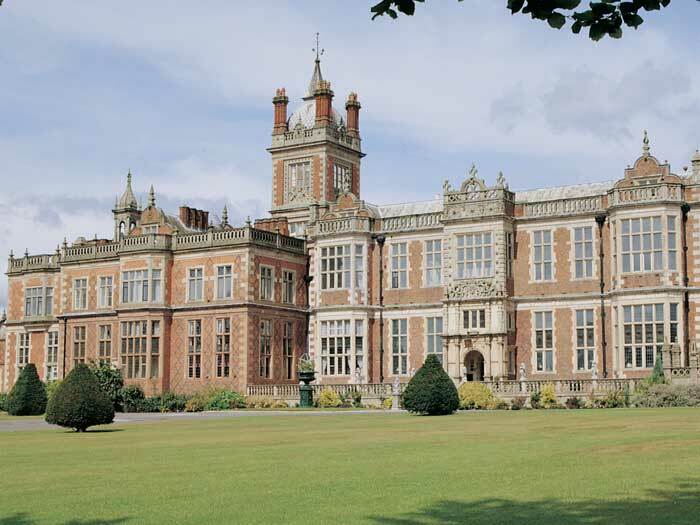 Their blend of contemporary design and Jacobean splendour make Crewe Hall a stand-apart wedding venue. The Grosvenor Pullford Hotel and Spa is an award-winning wedding venue situated in a gorgeous corner of the Cheshire countryside. They have beautiful settings both inside and out and can offer both customisable weddings and all-inclusive packages. 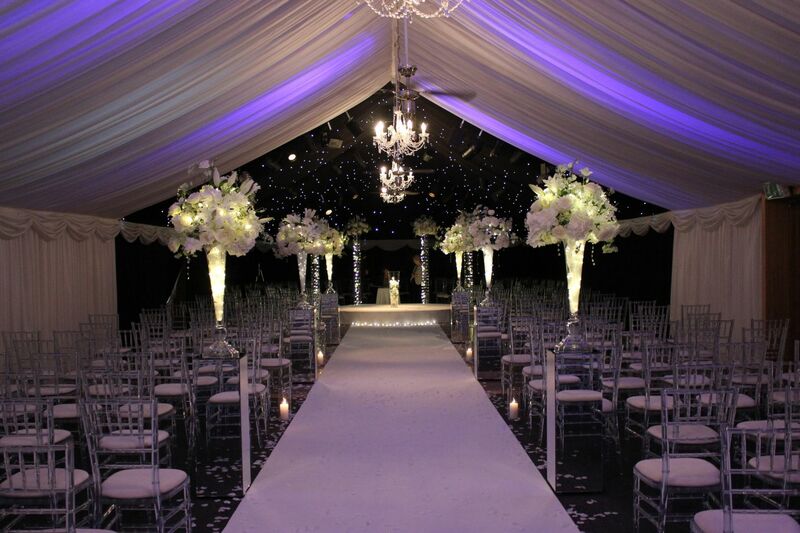 Their professional team of wedding specialists will do all of the work for you, allowing you to sit back and relax in what is simply one of the most refined wedding venues in Cheshire. The multi-award winning Heaton House Farm combines a gorgeous, rustic setting with elegant contemporary design to make a charming and exclusive wedding venue. Located on the borders of Cheshire and Staffordshire and with breathtaking views, Heaton House Farm is highly experienced in all kinds of weddings. A friendly and professional team, you’re always in safe hands with the Heaths – who are now in their seventh generation at the Farm. At Hilltop Country House they offer private, secluded weddings where you can shut off the outside world. The grand, 17th century house is located in beautifully maintained Cheshire country with fifteen acres of private lawns, gardens, fields and woodlands. Hilltop is a wonderfully peaceful wedding venue with enchanting reception rooms and a variety of idyllic photo spots. 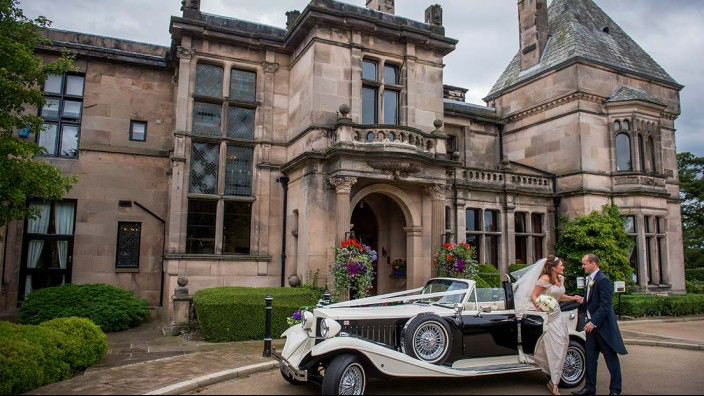 Once an Edwardian country house, the Mere Court Hotel is an award winning venue, situated in acres of landscaped gardens in the most desirable part of the Cheshire countryside. Mere Court Hotel offers rural tranquility with options for both indoor and outdoor weddings. Its picturesque surrounding lake and gardens provide a wonderful backdrop to their beautiful ceremonies. 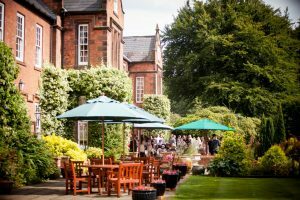 At Mottram Hall they take care of everything, allowing their guests to focus on what really matters. In a blissful setting you can enjoy the beautiful rose gardens, parkland and ornamental lake whilst their friendly team of specialist wedding organisers works quietly in the background, producing fantastic menus and a faultless, memorable day. Nunsmere Hall sets itself apart, positioned on an island setting in the heart of Delamere Forest. Its extensive grounds are bordered by a beautiful 60-acre lake providing a lovely combination of nature and seclusion. At Nunsmere they pride themselves on the most romantic settings and are set up well to deliver on every aspect of the day. There aren’t many wedding venues like Peckforton Castle in Cheshire. This enchanting castle is also a hotel, but some decide to book out the whole place exclusively, allowing them to take full advantage of the stunning rooms, reception areas and beautiful surrounding grounds. 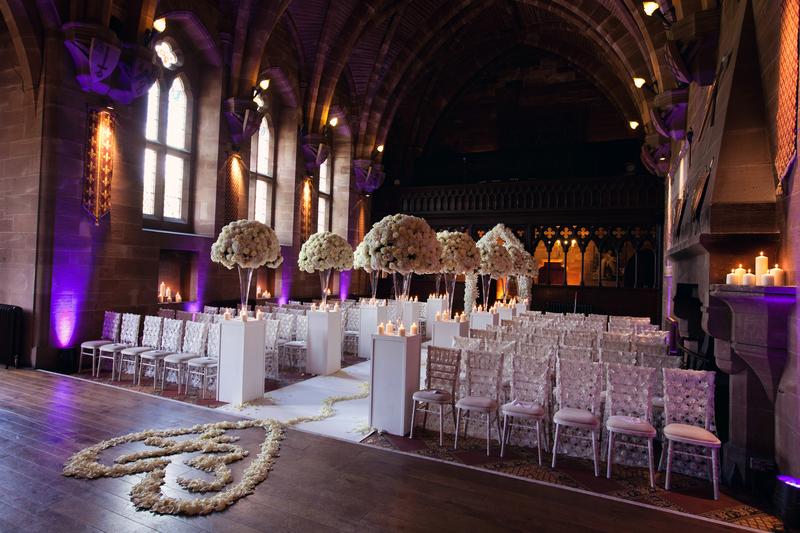 Peckforton Castle is a magical and unforgettable wedding venue that really can deliver a happily ever after wedding. Rookery Hall is one of those venues that is just delicious. Wrapped in beautiful views, the elegant Georgian Hall houses fantastic wedding suites in a stylish and modern ambience. 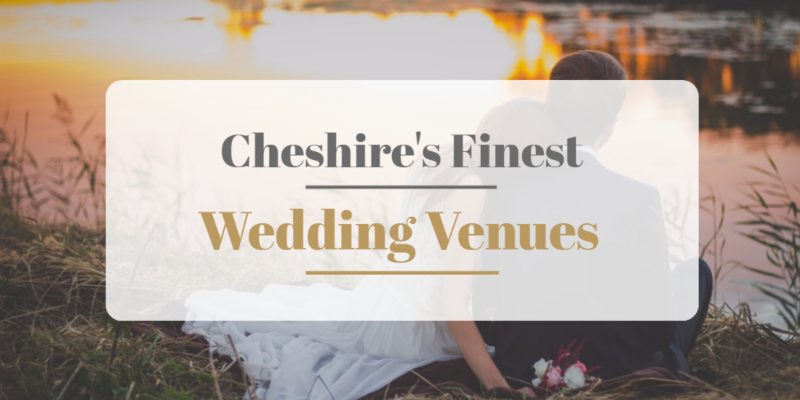 With space enough to impress up to 160 guests, this wonderfully romantic venue has commanding views of Cheshire’s stunning countryside making it one of the most sought after locations for a wedding you will find. Combining a tranquil retreat with the practicality of nearby Chester, Rowton Hall is a gorgeous 18th century Georgian country house. Set within acres of private lawns and award-winning gardens this fantastic wedding venue is full of charm and character. Their glowing reviews are testimony to the wonderful team of staff who will stop at nothing to make each wedding unique and special for you and all of your guests. Sandhole Oak Barn really is as inviting as it sounds. 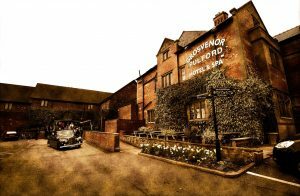 Set in 400 acres of beautiful Cheshire countryside, this is a family run venue that combines rustic charm with luxury facilities. If you don’t tie the knot in the gorgeous oak barn, you’ll probably be outside under the clock tower by the lake, a setting which really is unbeatable at sunset. One can simply sit back and relax at Sandhole Oak Barn, a truly stunning and exclusive wedding venue. Shrigley Hall is one of the most beautiful and eye-catching features of the Peak District National Park. This stunning venue is perhaps best known for its glorious 18-hole golf course and country club. Choose to get married here, and you can look forward to your own bespoke wedding planner, a function room that just happens to be a converted monastery and a fantastic backdrop which lends itself perfectly to wedding photos. 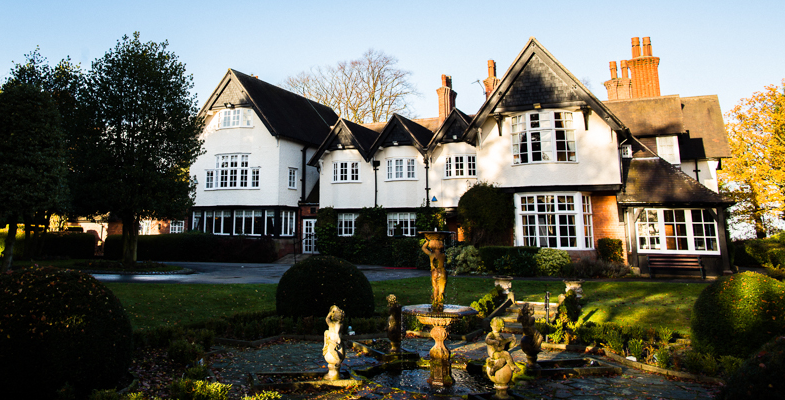 Set in 120 acres of exquisitely landscaped gardens and parkland, Thornton Manor has played a pivotal role in making countless wedding days unforgettable. Hosting four separate exclusive venues – Manor House, Waterside Pavilion, Lakeside Marquee and Walled Garden Marquee, Thornton Manor offers everything you could wish for. 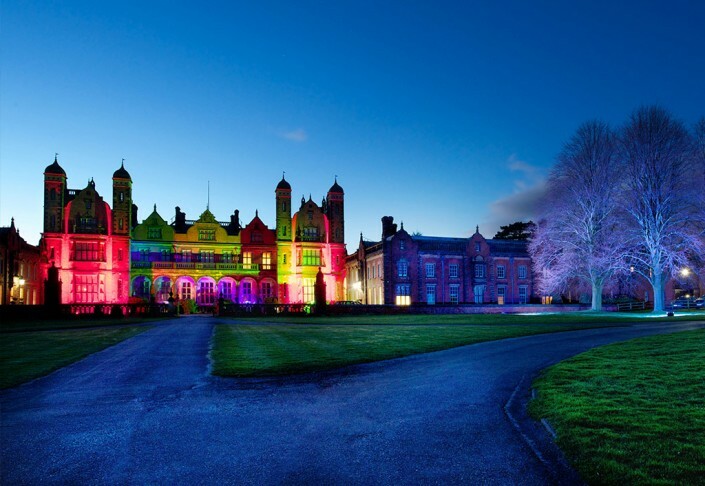 A stunning country house and one of the most versatile and popular wedding venues in all of Cheshire.